Will Thurman holds a B.B.A. in both Finance and Real Estate from the University of South Carolina. Will has worked in all aspects of resort developments. Recently, his services have included, overseeing sales operations, marketing, working directly with builders, and budgeting. 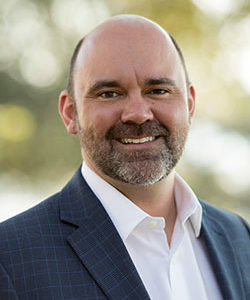 After earning his Broker’s License in 2004, he worked for Seger Land, a top RE/MAX producer in Georgia, as their sole Broker Price Opinion Specialist. Mr. Thurman has been successfully involved in the sales and development of multiple first-class planned communities. While working for one of the Carolina’s largest planned community developers, The Grand Harbor Group on Lake Greenwood in Greenwood, SC, Mr. Thurman assisted in the sales of 8 community releases totaling over a $100 million in sales volume. In 2005, Will founded Thurman Properties, LLC, and has consulted with the purchase of over 50 real estate transactions, while also assisting in the securing of financing. Mr. Thurman relocated to Austin TX in 2007 to work as the Director of Sales for The Flagship Group. While working for The Flagship Group, Mr. Thurman helped manage the largest development launch in Lake Travis’s (TX) history, totaling over $45 million. As the licensed Agent for Freehold Capital Partners, Mr. Thurman co-founded and managed RFI# 2, LLC. Since the inception of RFI# 2, LLC in October 2009, Mr. Thurman worked with over 100 developments across the United States to license over $6 billion in Reconveyance Fee Instrument. After moving back to Beaufort, SC, Will, along with four other partners formed The Port Royal Redevelopment Group LLC in 2012. One of the many responsibilities Will had was leading the efforts to form a $20M TIF district in the town of Port Royal. This process took multiple months but ultimately increased the value of the property well over $15M. During this time Will, worked directly with a partner from one of the nation’s largest municipal bond consulting companies and the town of Port Royal’s engineer and planner to form budgets for this multiple phase project. The TIF district is still in place today and is largely the reason this property will be viable for the entirety of the project. Most recently, Will became a Retirement Consultant at Wesley Commons, in Greenwood SC. Over the past three years Will, along with his associate have handled all of the Independent Living sales at Greenwood’s, only Continuing Care Retirement Community. Will’s efforts allowed the 206 independent living units to remain 93-98% occupied and reserved the three years with the company.